A new book looks at famous figures after their heyday. Owen Hurd is fascinated by postscripts in books and movies—those little notes that tell us what happens after “the End.” Who goes to prison? Who gets rich? Who dies penniless and insane? 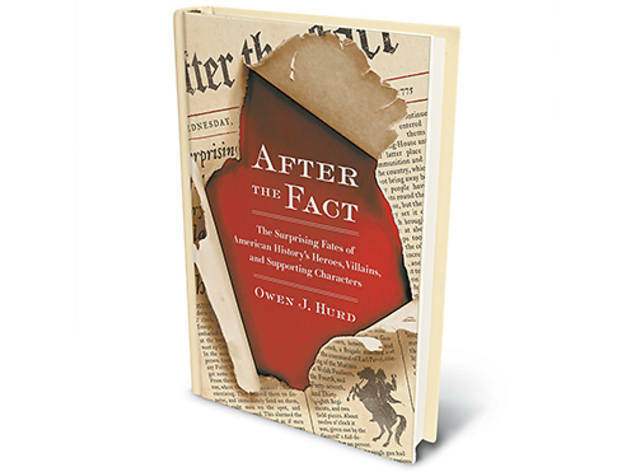 Hurd’s new nonfiction book is a bit like a collection of those postscripts, culled from the pages of U.S. history. The Chicago author thought about calling it Fifty Epilogues, which captures some of the book’s feeling, but he settled on After the Fact: The Surprising Fates of American History’s Heroes, Villains, and Supporting Characters (Perigree, $15). Hurd sheds light on less famous events from the lives of famous Americans. Take Paul Revere. After he warned his countrymen the British were coming, Revere served in the Revolutionary War, but his actions commanding troops during one hectic retreat were “oddly unheroic,” Hurd writes. Revere was court-martialed for “unsoldier-like behavior tending toward cowardice.” He was acquitted, but the affair did not reflect well on him. “Curiously, when Paul Revere died…none of his obituaries even mentioned the midnight ride,” Hurd notes. Revere’s ride became more famous after he died, thanks to Henry Wadsworth Longfellow’s popular 1860 poem about it. Along similar lines, legendary Chicago G-man Eliot Ness wasn’t actually all that legendary during his lifetime. After fighting Al Capone and cracking down on liquor during the Prohibition Era, Ness went on to a checkered career in law enforcement—and he became a boozer. He resigned as Cleveland’s director of public safety after he drunkenly crashed his car into another auto and fled the scene. Later, Ness spent his evenings in taverns, “spinning tales of his G-man days to skeptical patrons and bartenders,” Hurd writes. Fame came for Ness after he died in 1957, with the publication of a somewhat embellished memoir, The Untouchables, that Ness cowrote with one of the few people who’d believed his stories, reporter Oscar Farley. Along with Revere and Ness, After the Fact delves into the epilogues for figures ranging from Salem, Massachusetts, witch-trial magistrate Samuel Sewall (who became an advocate for Native American and African-American rights) to Harry Truman (who hit the highways for a surprisingly casual cross-country road trip after his presidency). “I found out how human our country’s famous historical figures were,” Hurd says. “It’s natural to idolize our national heroes or demonize our country’s villains and scoundrels.” The life stories Hurd found—largely drawing on other authors’ histories and biographies—were less black-and-white than that. 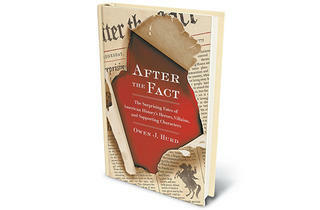 For his next project, Hurd is eyeing Mary Todd Lincoln and thinking about a possible sequel to After the Fact. One thing he says he has learned is that history has no shortage of stories waiting to be told. After the Fact is out now.